New ownership, Same family-fun farm! Our animals are friendly and playful, perfect for all ages. Unlike watching television, our variety of activities allows kids of all ages to experience firsthand the fun of interacting with real farm animals in a safe and stimulating environment. Our location on Highway 16 between the region's largest city, Rapid City, and Mount Rushmore National Memorial, is a convenient spot to enjoy the outdoor beauty of the Black Hills. Cows, pigs, horses, sheep, donkeys, goats, rabbits, chickens, ducks and so much more! 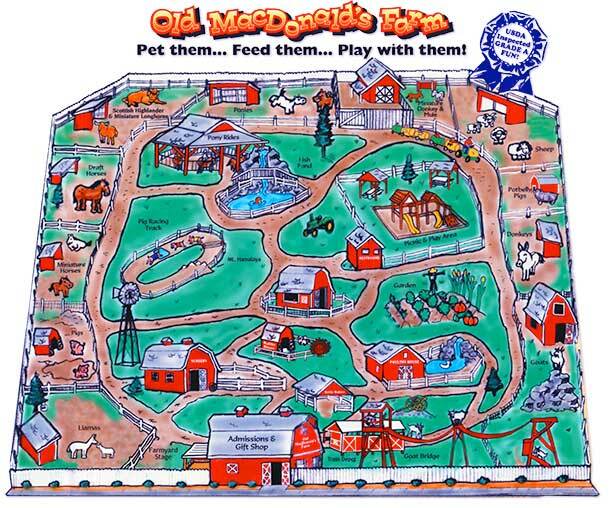 Our fun-filled farm has World Class Pig Races, pony rides, farm tours in our kid-sized tractor train, a picnic area, playground, plus our gift shop has farm-related toys and keepsakes for big and little farmers alike.